There is no better place to hold the Spring 2015 Haute Couture Fashion Shows than in Paris, the heart of the fashion world. This year, designers left audiences in awe, pleasantly shocking them with their fabulously genius creativity. From the surprising choice of models to the original and risqué ideas, beautiful silhouettes in sumptuous couture swept the Parisian runway.With the impressive skills of the talented designers and their unquestionable fashion sense, these styles set the trends for this season’s hottest Haute Couture looks. 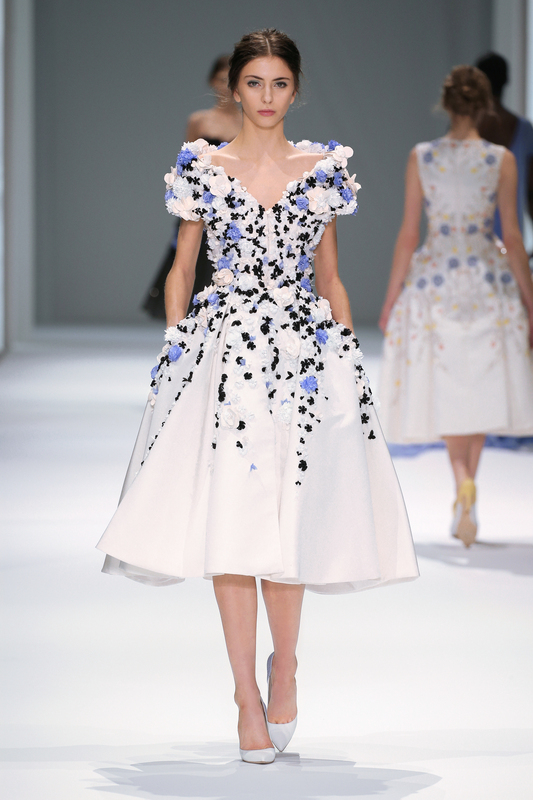 Very apropos, the flower motif emerges throughout designer gowns this spring season. What else exemplifies spring better than blooming flowers? From bright red roses to royal blues and emerald greens to dusty grays and beiges, designers like Ellie Saab, Zuhair Mura, Versace, and Giambatisa Valli remind us that floral patterns are eternally feminine yet boldly modern this spring. 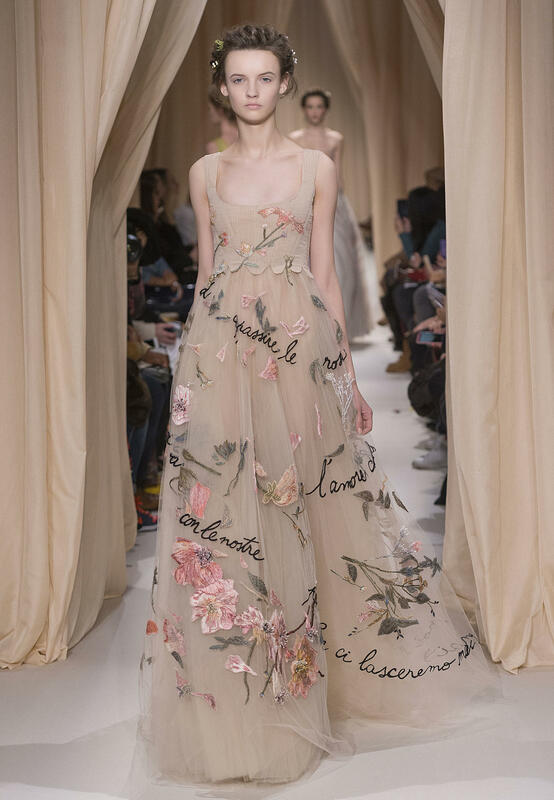 Valentino even channeled a bit of history in his collection, incorporating loosely corseted dresses with floral designs, recalling the early years of the slavic cultures. Looking for something more intriguing than plunging necklines? This spring, pique everyone’s curiosity with the flirty open heart style. Instead of racy low cuts, opt for something sexier: a small sneak peek! Without a doubt, the chest cut-out craze has ignited the imaginations of both designers and crowds alike—it’s a definite keeper! Spring fashion is not just about florals and delicate fabrics sweeping over feminine bodies—it’s about adding a bit extravagance as well. 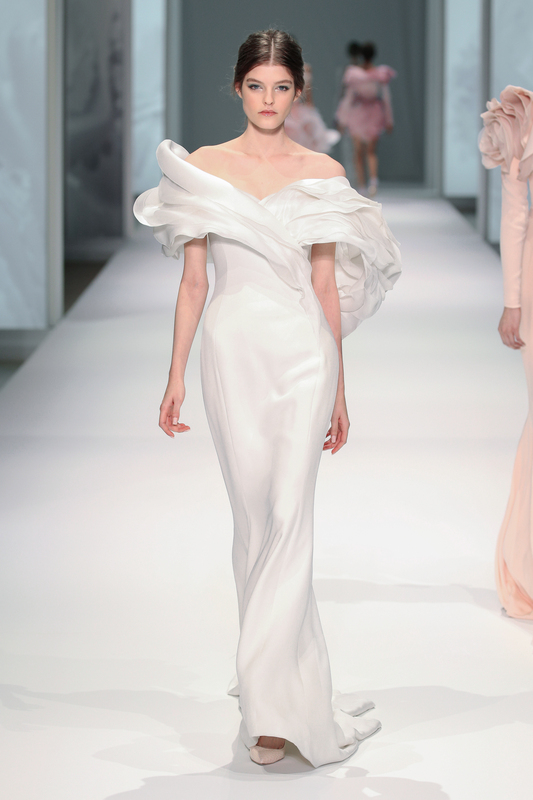 Bringing in the all-white-everything look polishes the runway and emphasizes the fresh, clean start of the new year. Crisp and bold, this look conveys sheer sophistication and power with its bright stream of pure white, which many designers pulled off perfectly this season. 2015 also brings mystery, and designers everywhere certainly felt that. 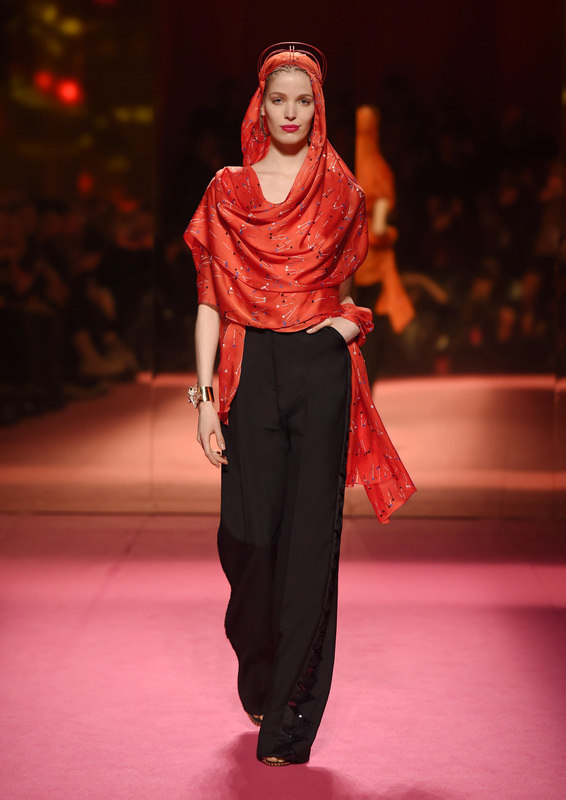 Trending on the runway, the Neo-Bedouin style is conquering couture fashion. Bedouins are known as people of Arabic decent of the nomadic tribes of either the Syrian, Arabian, Nubian, or Sahara deserts. Their clothing helps protect them from the excessive sunrays and surrounding sand. 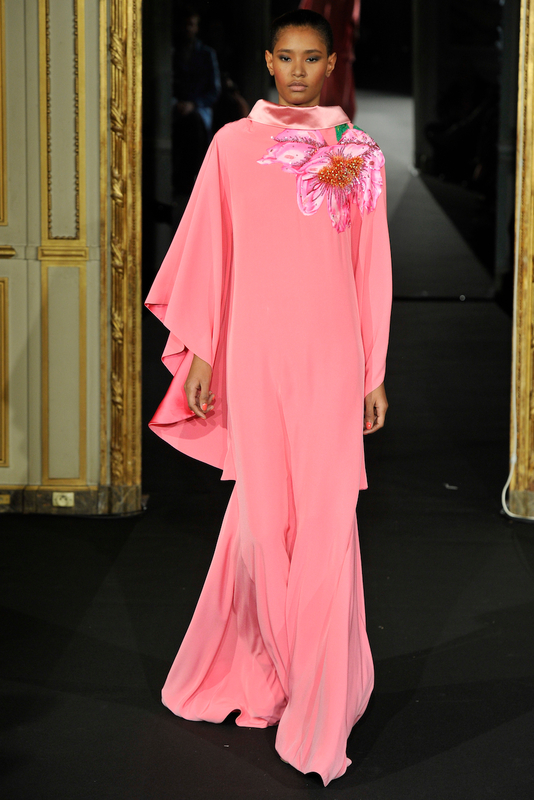 Schiaparelli and Jean Paul Gaultier showed everyone how to blend this look into today’s fashion. Staying on the light side, the feather trend also graced the runways. If last season as all about fur, this season is all about feather. Since spring doesn’t surprise us with heavy snow or frosty winds, designers turn to delicate feathers to add just the right fuzzy touch.